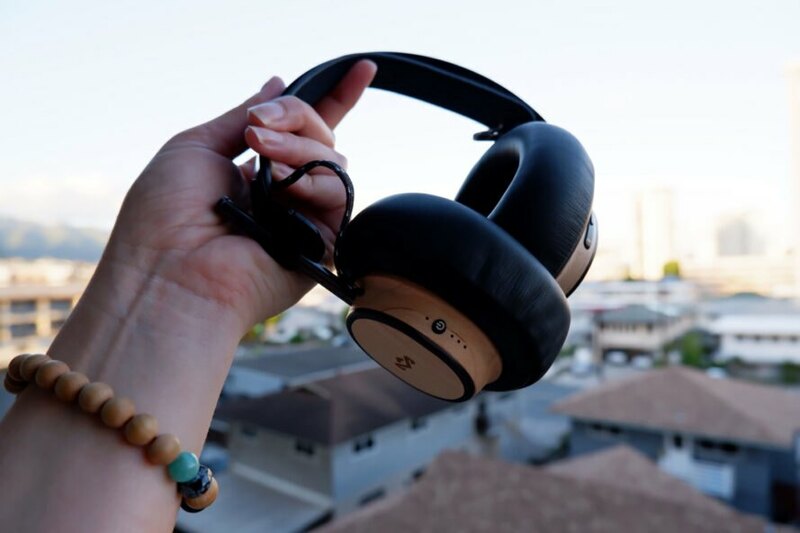 The Exodus headphones are The House of Marley’s first release in its new 2019 line of eco-friendly audio products, and trust us when we say they are everything you’d want in a pair of headphones. 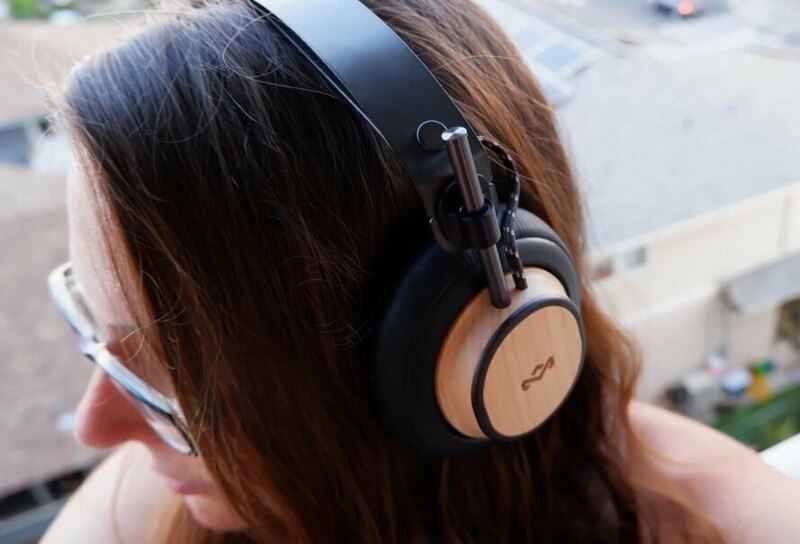 Made from materials like FSC-certified wood, stainless steel, recyclable aluminum and soft natural leather, the Exodus headphones allow you feel good about your purchase while having a comfortable listening experience. 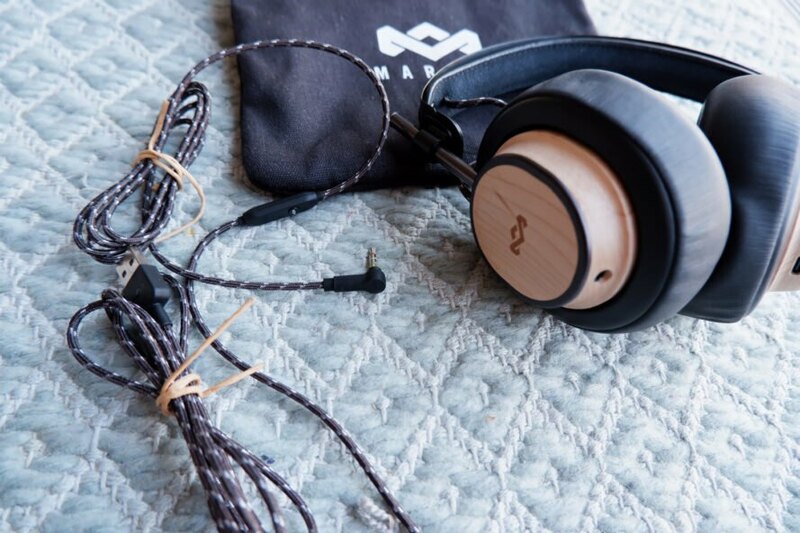 The House of Marley doesn’t stop at headphones, either — the company also creates turntables built from natural bamboo and outdoor speakers made using organic cork. Not to mention all of its packaging is produced from 100 percent recycled paper. Inhabitat recently had a chance to try out the new Exodus headphones and interview The House of Marley’s Director of Product Development, Josh Poulsen. 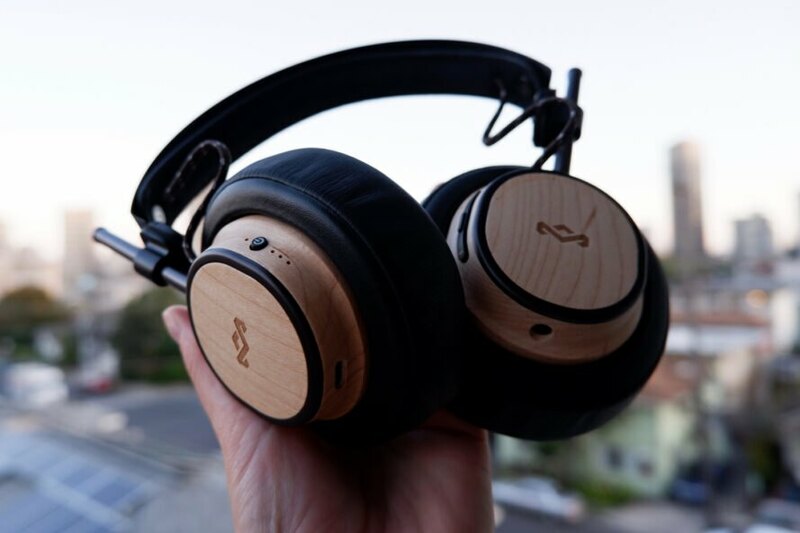 The headphone casing is made from wood that is FSC-certified, meaning that the trees cut down to produce the wood are guaranteed to be replaced and regenerated sustainably. The stainless steel making up the headphone architecture and fasteners creates less environmental impact and is more durable; it can even be recycled. Not only is aluminum (used for the headphone housing) one of the most eco-consciously produced metals, there’s no limit to how many times it can be recycled. Lastly, natural leather adds a sense of warmth and style while remaining a biodegradable option. The media website CNET called these the “Best new headphones of CES [Consumer Electronics Show] 2019.” The Bluetooth LE technology was fast while pairing with our devices, meaning less time waiting for a connection and more time enjoying music. 50mm hi-def drivers ensure quality sound, regardless of unconventional materials. Not only is the sound long-lasting (the headphones boast a 30-hour lithium polymer battery life, the longest-lasting in the company’s history), USB-C charging makes it easy to plug into any USB-compliant outlet. The company doesn’t just exercise sustainable materials but also helps ensure that its products last longer than other audio makers. As if it could get any better than a product that’s both high-quality and eco-friendly, The House of Marley has also been working with One Tree Planted since 2017 to fight global deforestation. One Tree Planted is a non-profit organization that has been planting trees in North America, Latin America, Asia and Africa since 2014. To celebrate Earth Day, The House of Marley will be contributing to tree plantings in Colorado, Kenya and Rwanda. The House of Marley is not kidding when it says 30-hour battery life; these headphones can be enjoyed all day and then some. Over-ear headphones can get clunky or uncomfortable, and plenty of music-lovers out there prefer the smaller earbuds for these reasons, but the memory foam ear cushions combined with the natural leather definitely squash those excuses. The over-ear speakers are super comfortable and can be used for hours without getting painful. One of the best parts is the hinge allowing the headphones to fold into each other to easily fit into the premium stash bag (included) made from the company’s signature REWIND organic cotton fabric, helping to take up less space while traveling. We loved the option for plugging the headphones directly into your device with the included aux cable (because let’s face it, sometimes we forget to charge things), but even if you do forget to charge, it only takes two hours to get fully juiced. Any outdoor-lover will enjoy how the Exodus headphones look. The certified wood is a light, natural color, which pairs really nicely against the black color of the plastic and ear cushions. The charging and aux cables are designed with the same sturdy, braided design (a godsend for those of us prone to breaking those skinny plastic cables on other headphones). You can also control the volume and playback from the headphones themselves rather than fumbling for your device. Finally, we couldn’t help but pump some Bob Marley through these headphones, and unsurprisingly, it did not disappoint. Editor’s Note: This product review is not sponsored by The House of Marley. All opinions on the products and company are the author’s own. 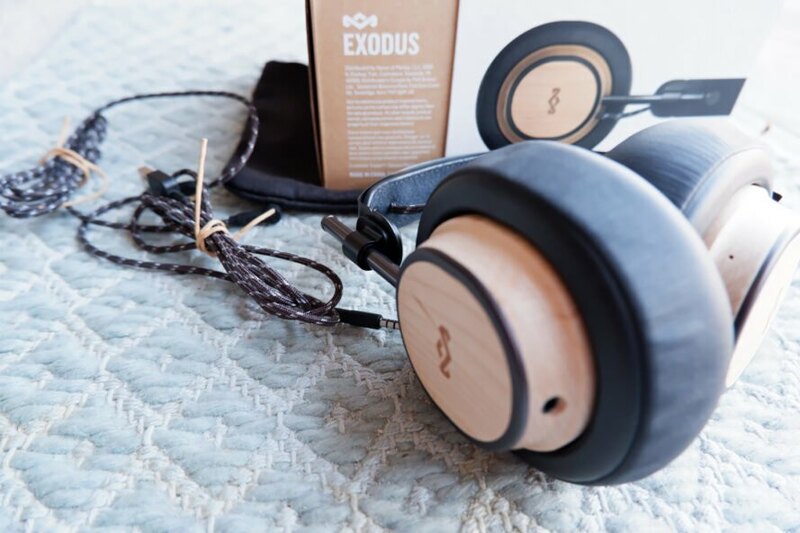 The Exodus headphones by The House of Marley are debuting just in time for our favorite holiday, Earth Day. The headphones feature numerous green design components. Construction materials include FSC-certified wood, natural leather, recyclable aluminum and stainless steel. The headphones made an appearance at CES 2019, where they were highly praised. The Exodus headphones use Bluetooth LE technology, allowing the wearer to go wireless. ... or, if you forget to charge them up, a cord is available for normal wear. The headphones collapse into one another and fit neatly in an included small pouch for travel. All packaging is made from 100 percent recycled paper, and the company is partnered with One Tree Planted to plant trees around the world. But how do the headphones perform? We were impressed with how comfortable the headphones are — even hours of use didn't leave our heads or ears feeling sore. We also loved the sound quality, which delivered Bob Marley's melodies smoothly.